Wildcard is a perennial crowd pleaser, a master at exploiting her opponents’ weaknesses. Many a team has snatched victory from the jaws of defeat thanks to her timely intervention. Yurik Yurikson, a.k.a. “the Painmaster”, is as indomitable as the mighty cruisers of his people’s Trade Fleets, easily shrugging off blows that would send a lesser Guard reeling. 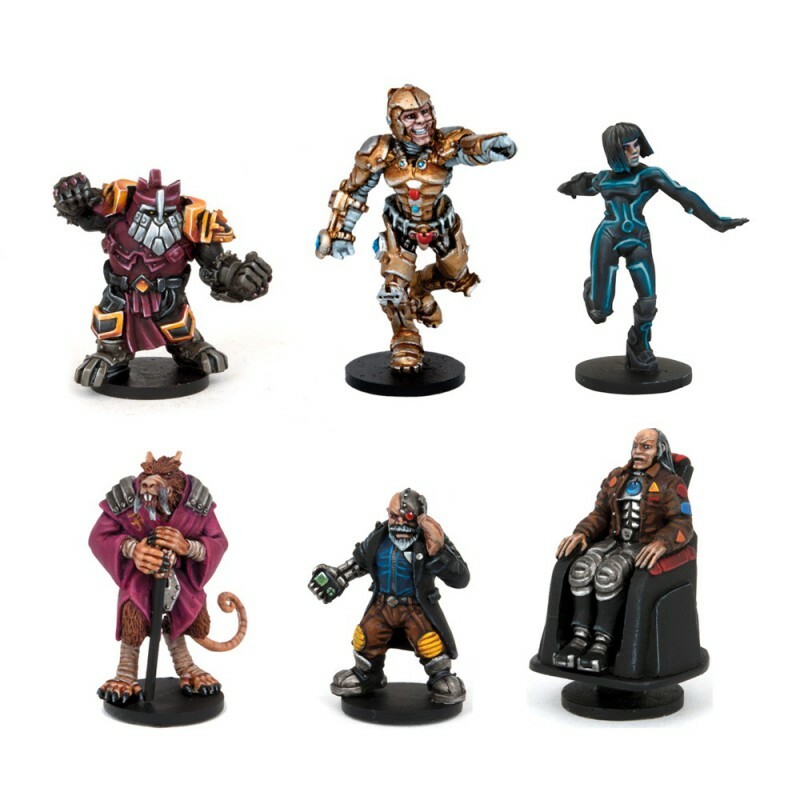 The pack also contains three DreadBall Coaches, veterans of the arena whose insights and training can help your team reach new levels of greatness and overcome any odds!